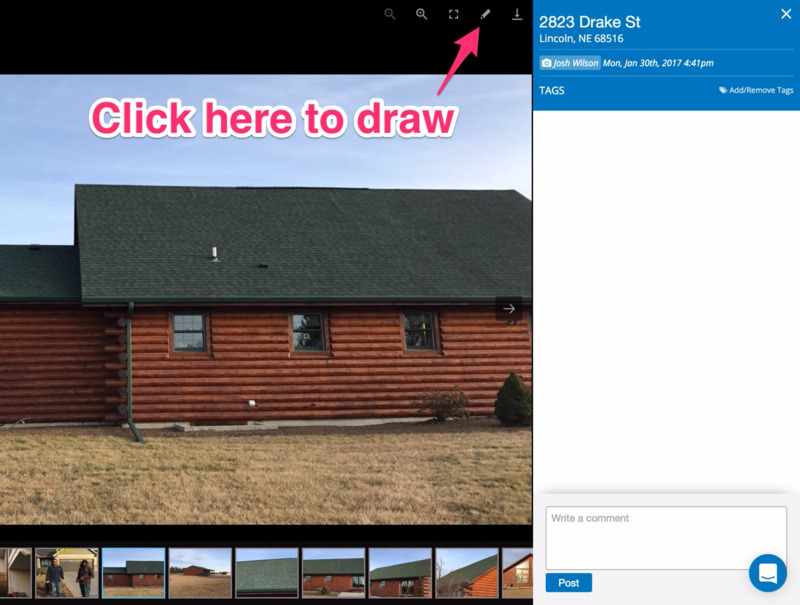 You can edit photos in CompanyCam in the mobile app and on the computer. 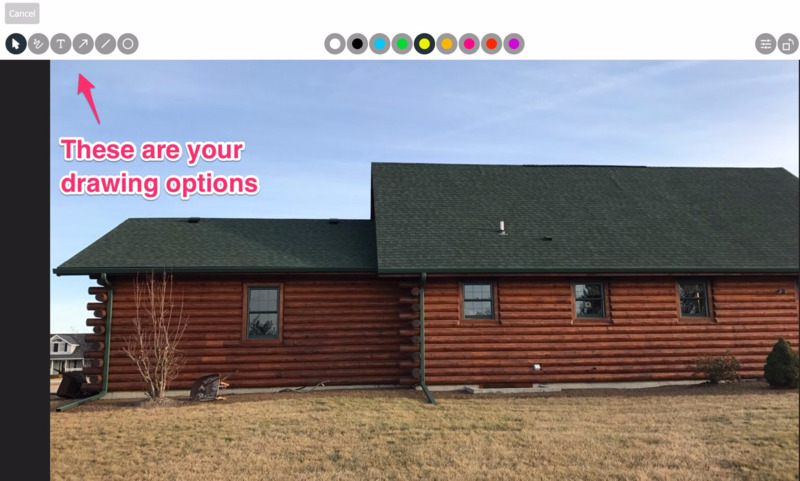 Open the photo you want to edit by clicking on the photo. And then click on the 'Pencil' icon at the top of the screen. Your drawing tools are on the left. Color choices are in the middle. On the right, you can rotate, undo and redo. When you're done, click save in the upper right corner! Drawing tools are on the right. Tap on the colored dot at the top to see all color options. Use icon in the bottom left to rotate the photo. When you're done, tap the green check mark! 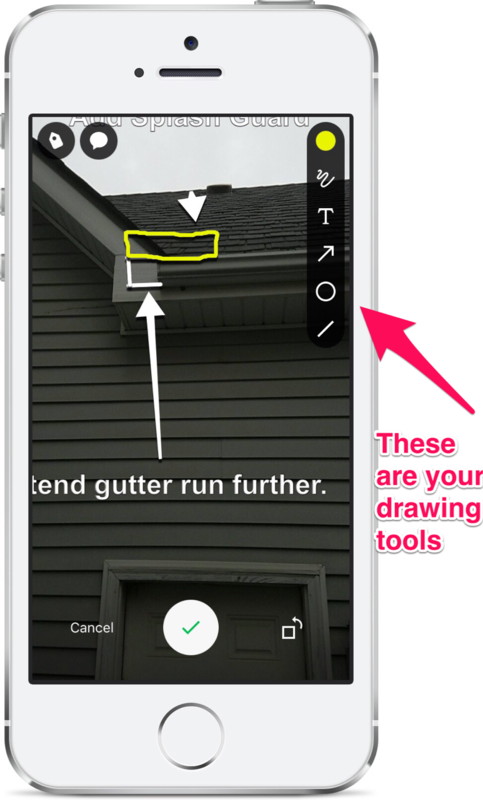 Need to delete text or drawings from a photo? Tap/Click on the item that you'd like to remove and then tap/click on the 'trashcan' icon.